The latest Express Entry Draw on the 15th of November puts Canada that much closer to breaking its previous immigration record of 2017! Only 8,000 ITA (Invitations to Apply) are needed by the end of the year to smash the old record. 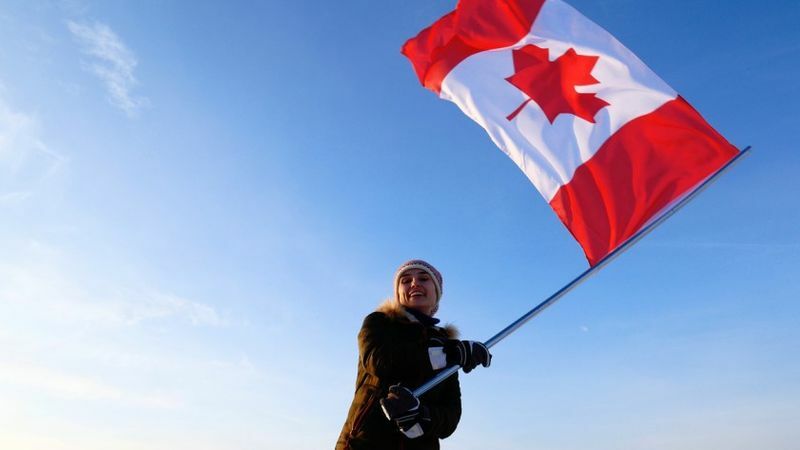 Not surprising that Canada revealed earlier this month that it planned to boost its immigration goals to 1.3 million by 2021! What CRS Score Let You Get an ITA? The minimum CRS (Comprehensive Ranking System) score needed for the 15 November draw was 449. For those of you who do not know how the CRS score is calculated, it is done by evaluating you based on the following factors. Each person that applies under the system will receive a CRS score out of 1,200 based on the above factors. Please note that you cannot get more than 1,200 for your application. What Categories Does EE Canada Manage? As you may or may not know, the Express Entry (EE) system manages applicants from three major categories, the Federal Skilled Worker (FSW), Canadian Experience Class (CEC) and Federal Skilled Trades Class (FSTC). Do CRS Scores Stay the Same for Each Draw? No, Express Entry Draws let Canada select skilled workers that meet the needs of its labour market using the CRS scores to select the best candidates to send an ITA to. CRS scores for each draw are normally always different because of the changes in the labour market, for example, the previous EE draw on October 29 had a CRS score of 442. How Often do EE Draws Happen? These draws do not always occur at regular times and can be spaced out over several weeks. To put it in perspective, the Express Entry draw on October 3, 2018 had 12 days before the next draw took place on October 15, while the draw on Oct 29 had 17 days between it and the November 15 draw. EE draws are done on the needs of Canada and can happen more or less frequently during the year. Worried About Your CRS Score? Not to worry here are 6 tips for Canada immigration points to help boost your your application if you think your CRS may not be high enough to apply. Other changes have also been made to the immigration goals of Canada that further improve your chances. How you ask? Canada increased its admission targets for next year, which means even more people will have the chance to apply for EE than ever before! Below is a table that showcases the boost admission numbers estimated for next year. Some of the provinces that invited the highest number of immigrants through the PNP linked EE system are Ontario, BC, PEI and Saskatchewan. Together these provinces invited nearly 95% of all their nominations through their PNPs in 2018. If you are still unsure about how the system works, we can give you some hypothetical examples. Martha is a 30-year-old Administrative Manager. She has a degree from a foreign university and has three years of work experience in her job. She also completed an IELTS English exam scoring above 6.0 in the (Canadian Language Benchmark) for reading, speaking, listening and writing. She doesn’t have any Canadian work experience or tertiary degrees but she does happen to have a brother that lives in Saskatchewan. He is a permanent resident of Canada so Martha gets addition points on her CRS score for that. Even without a provincial nomination or job offer, Martha scores 486, meaning that she would get an ITA to Canada. Do you know if you can apply for Canadian immigration with your current job? Want to know if you can qualify for the next Express Entry Draw? Why not find out? Complete our simple contact form and we will call you to discuss the best way to get you to Canada.